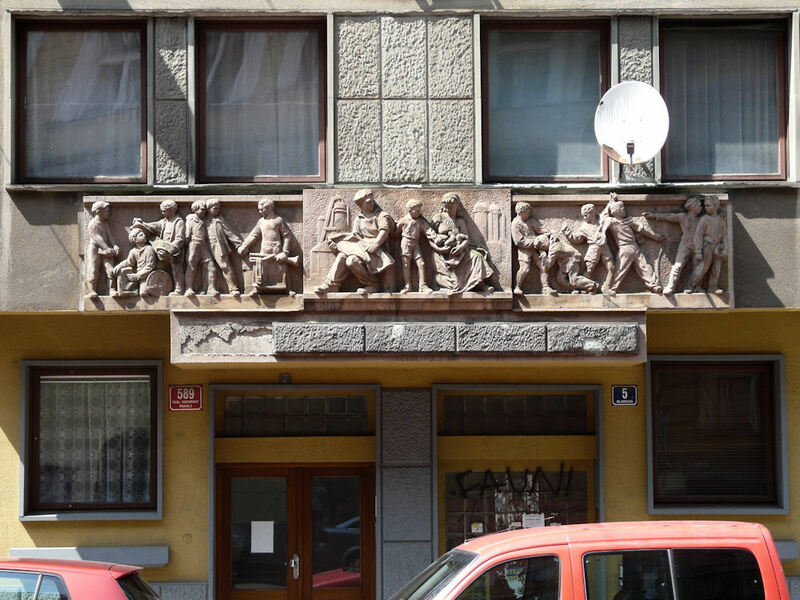 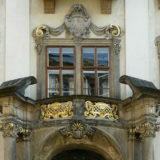 The classical-style frieze above the entrance to this residential building in Prague’s Vinohrady district presents an idealized portrait of domestic life in communist Czechoslovakia. 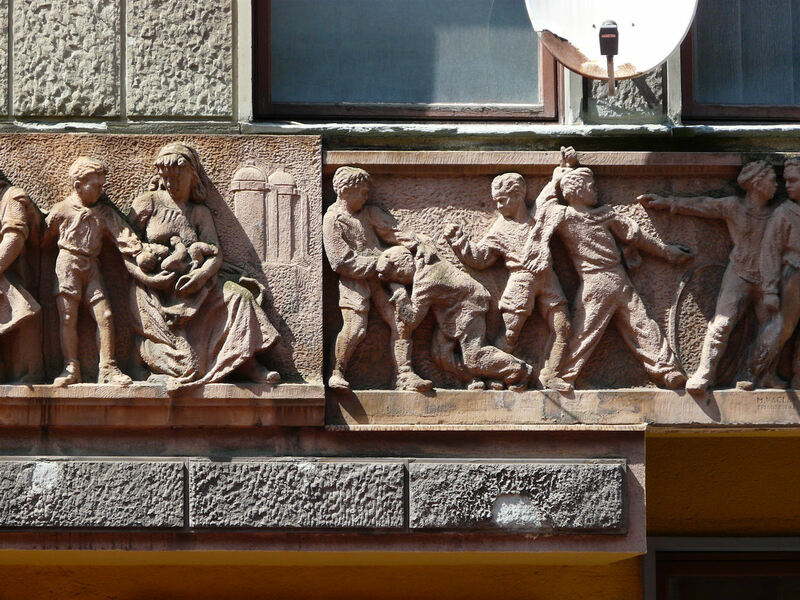 Typically for a work of socialist realism — the only approved form of public art — a happy proletarian family dominates the scene. 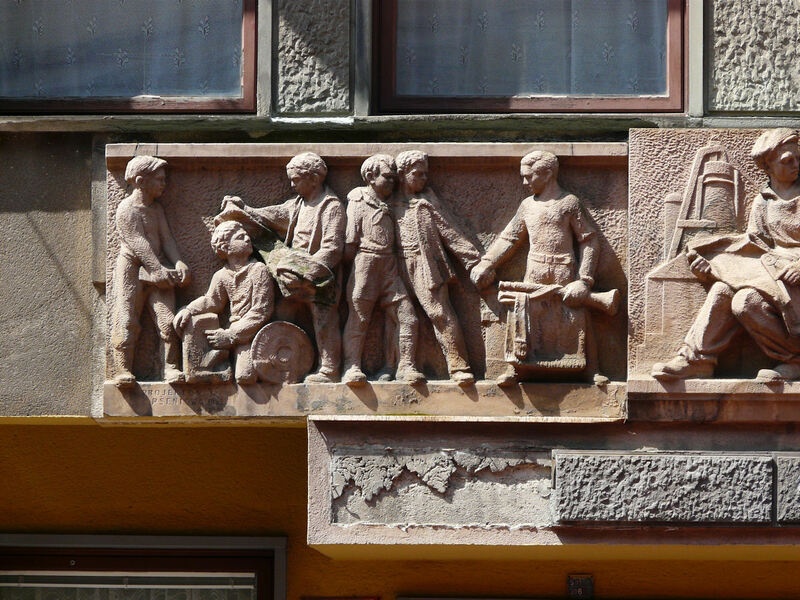 The mother nurses a newborn citizen, while the engineer father draws up designs for a new steel mill (the plan for which appears as a backdrop). 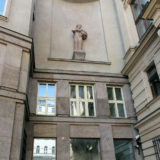 In the two wings, meanwhile, children engage in health-giving musical and sporting activities. 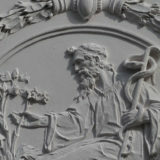 Designed by the young Zlin-based sculptor Miroslav Václavík, this instructive piece of propaganda was carved in 1955 by Jiři Ducháček.